RAWALPINDI: Chief of the Army Staff (COAS) General Qamar Javed Bajwa on Wednesday made it clear on the United States that Pakistan did not need any material or financial assistance from the United States but trust and acknowledgment of its contributions to peace and actions against terrorists. “We are not looking for any material or financial assistance from the USA but trust, understanding and acknowledgement of our contributions,” the COAS said while talking to David Hale, US Ambassador to Pakistan, who called on him at the GHQ. David Hale briefed the COAS on the new US policy saying that the US valued Pakistan’s role in the war against terror and was seeking cooperation from Pakistan to resolve the Afghan issue. It may be pointed out that the Director General, ISPR, during a press conference said in response to a question on Monday that Pakistan was a sovereign state and would take decisions according to its national interests whatever policy was announced by President Trump. Meanwhile, Prime Minister Shahid Khaqan Abbasi dashed to Saudi Arabia on an emergency visit as US President Donald Trump announced the US policy on Afghanistan and South Asia. Prime Minister Shahid Khaqan Abbasi had a significant meeting with Crown Prince and Deputy Prime Minister of the Kingdom Muhammad bin Salman bin Abdul Aziz in Jeddah Palace. Pakistan and Saudi Arabia agreed to expand and strengthen their ties further in various spheres, including political, trade, economy and culture. Federal Finance Minister Senator Ishaq Dar and Foreign Minister Khawaja Muhammad Asif accompanied the premier in the visit. The sources told The News that US President Donald Trump’s new policy towardsPakistan and Afghanistan also figured in the course of discussions. Shahid Khaqan had an important meeting with Nawaz Sharif in Lahore a day earlier and it is understood that the prime minister took him into confidence on his visit to Saudi Arabia. Prime Minister Abbasi who returned Islamabad late in the evening stayed for about eight hours in the coast city of the Kingdom. The sources said that Prime Minister Abbasi briefed the Saudi leader about the situation in the region including its ties with India and worsening human rights situation in Indian Held Kashmir (IHK) and developments regarding Afghanistan. The regional situation including the affairs in the Arab world also figured in the talks, the sources added. King Salman bin Abdul Aziz Al-Saud was currently out of the Kingdom on a private visit. The Prime Minister Office (PMO) stated upon conclusion of the visit that during the meeting with the Crown Prince, the prime minister reaffirmed Pakistan’s continued and steadfast support for the kingdom and its leadership. The premier recounted the huge sacrifices and extraordinary efforts being made by Pakistan as a nation to root out terrorism and bring peace and stability. He also expressed solidarity with Saudi Arabia and reaffirmed Pakistan’s pledge to support Saudi Arabia’s sovereignty. Meanwhile, Senate Chairman Raza Rabbani said if US committed any mistake, Pakistan would become a graveyard of its troops. He warned US President Donald Trump to stay within his limits, saying ‘he must realise that people of Pakistan have the legacy and characteristics of Vietnam and Cambodia, as the senators poured scorn on him (Trump) for his anti-Pakistan statement. Rabbani asserted, “Trump must realise that we hail legacy of Vietnam and Cambodia…if he [Donald Trump] wants Pakistan to become a graveyard of the US soldiers, let it be so”. He was speaking during the debate in the House on Trump’s warning to Pakistan. Rabbani’s remarks evoked desk thumping by the senators. He also suggested that Foreign Minister Khawaja Muhammad Asif should postpone his scheduled visit to Washington in protest. “I would suggest the foreign minister to cancel his trip to the US, as it would send a strong message,” he believed. In a policy statement on behalf of foreign minister, Defence Minister Khurran Dastgir Khan declared Trump’s statement ‘disappointing,’ and said no country in the world had done more than Pakistan to counter the menace of terrorism. He said that Pakistan had taken serious note of President Trump's statement, adding Pakistan had been and would continue to be part of the global counterterrorism efforts. “Pakistan and the US have been close allies in the fight against terrorism, which is a common threat to all nations of the world. As a matter of policy, Pakistan does not allow use of its territory against any country. Instead of relying on the false narrative of safe havens, the US needs to work with Pakistan to eradicate terrorism,” he noted. The minister said that the threat to peace and security could not be isolated from the complex interplay of geopolitics, continued existence of festering disputes and pursuit of hegemonic policies, adding non-resolution of the Jammu and Kashmir dispute remained the primary obstacle to peace and stability in the region. He said that Pakistan reiterated its view that there was no exclusive military solution to the crisis in Afghanistan. The military action during the last 17 years had not brought peace to Afghanistan, and it was not likely to do so in the future. Only an Afghan-led, Afghan-owned politically negotiated solution could lead to sustainable peace in Afghanistan. “Pakistan is committed to working with the international community towards the common objective of defeating the forces of terrorism and promoting peace and stability in the South Asian region,” he maintained. The opposition senators termed the policy statement by the minister disappointing, saying it was too late, and the stance taken by the government as well as its response should have been quicker. PPP’s Sherry Rehman said that it was position of the US president and to some extent it related to his bureaucracy, which should have been given a befitting response by the Foreign Office. She was all praise for the stand taken by Chief of Army Staff (COAS) General Qamar Javed Bajwa, who plainly told US Ambassador David Hale that Pakistan did not want material or financial assistance from the US but needed to be trusted and treated with respect. “This message should have been given by the civilian leadership. Through his statement, Trump defeated America’s objectives in Afghanistan,” she regretted. She called upon both the US and Pakistan to look into their mistakes, adding Pakistan had paid a huge price in the war against terrorism and discrediting would not augur well for the US. Rabbani said that Committee of the Whole would discuss the statement of Donald Trump while a sub-committee comprising Senators Mushahid Hussain Sayed, Sherry Rehman and others would prepare its recommendations, which would be sent to government for consideration after adopting by the House. Senator Farhatullah Babar of the PPP said that President Trump was wrong in pointing fingers at Pakistan but while rejecting the US President’s arrogance, Pakistan must also look inwardly whether time had not come for abandoning the failed policy of selective treatment of the militant groups. He deplored that the US was blaming Pakistan for its failure in Afghanistan. “But at the same time, we must also revisit the policy of nurturing some militants to advance our security and foreign policy agendas in the regions,” he added. Babar proposed to the government to boost relations with Russia, China and Iran, instead of relying on the US, as the ties between the two had gone sour after Trump took over. Opposition Leader in the Senate Aitzaz Ahsan regretted how weakly the policy statement by the government handled the situation. The very thing, according to him, the government had to take was giving demarche to the US ambassador to Pakistan. The government should have applied “a lock and g lock” to tell the US that Pakistan can block the supply routes to transport fuel and other supplies for Nato troops stationed in Afghanistan, he said, adding, “Then we could have established the civilian supremacy”. Senators Nehal Hashmi and Usman Khan Kakar objected to US Ambassador David Hale’s meeting with COAS and said the envoy should have met the democratically elected government instead of meeting the military establishment. “The establishment frames foreign and security policies and then they blame Parliament whenever the country is in trouble. Parliament should be empowered as it’s the only solution to all the problems,” he added. Senator Hashmi said that the US was an occupation force in South Asia, which must pack up from the region, as that was the only way out to restore lasting peace in the region. Senator Saeedul Hassan Mandokhel of PML-Q announced in the House that he was scheduled to go to the US for getting medical treatment but after Trump’s statement, he decided to get treatment in Quetta – his hometown – or anywhere in the world, but not in the US. PML-N Senator Abdul Qayyum called on the US to learn from history and said that involving India showed the US was not serious in resolving Afghan issue. He made it clear that there could be no peace in the region without resolution of longstanding dispute of Kashmir, but the US was acting as a silent spectator over Indian atrocities in Held Kashmir which showed its nefarious motives. The other lawmakers called for a joint session of Parliament to give a clear message to the US not to ‘mess up with Pakistan’ as it would not benefit it given the sacrifices by the latter in the war against terrorism. Meanwhile, Pakistan taking note of President Trump's statement outlining elements of a new US policy on Afghanistan and South Asia said that no country in the world had done more than Pakistan to counter the menace of terrorism. "No country in the world has suffered more than Pakistan from the scourge of terrorism, often perpetrated from outside our borders. It is, therefore, disappointing that the US policy statement ignores the enormous sacrifices rendered by the Pakistani nation in this effort," the Foreign Office in its preliminary comments on the US president's policy statement on "Afghanistan and South Asia", said. Pakistan has been and will continue to be part of the global counter-terrorism efforts. Pakistan and the United States have been close allies in the fight against terrorism, which is a common threat for all the nations of the world. As a matter of policy, Pakistan does not allow use of its territory against any country. “Instead of relying on the false narrative of safe havens, the US needs to work with Pakistan to eradicate terrorism,” Foreign Office stressed. The threat to peace and security could not be isolated from the complex interplay of geopolitics, continued existence of festering disputes and pursuit of hegemonic policies. 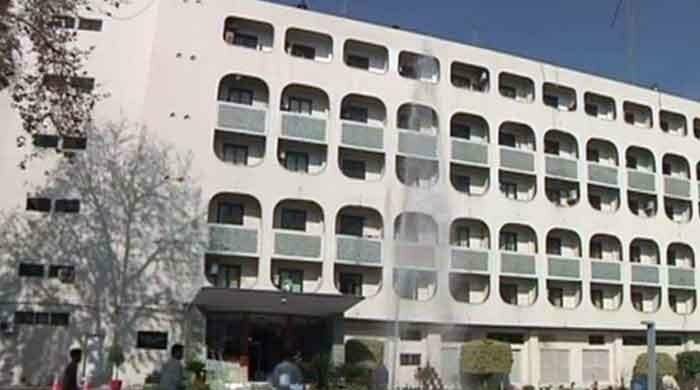 “Non-resolution of the Jammu and Kashmir dispute remains the primary obstacle to peace and stability in the region,” the Foreign Office pointed out. Pakistan reiterated its view that there is no exclusive military solution to the crisis in Afghanistan. The military action during the last 17 years has not brought peace to Afghanistan, and it is not likely to do so in the future. Only an Afghan-led, Afghan-owned politically negotiated solution can lead to sustainable peace in Afghanistan, Foreign office said. Pakistan is committed to working with the international community towards the common objective of defeating the forces of terrorism and to promote peace and stability in the South Asian region, Foreign office concluded. It may be pointed out here that the federal cabinet in its regular session discussed the President Trump's strategy on Afghanistan and South Asia. The Cabinet has mandated the prime minister to take up the issue in detail in the meeting of the National Security Committee, already scheduled to be held on August 24 (today).